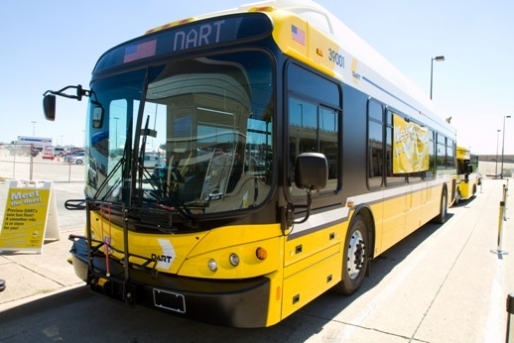 “DART is one of the largest transit fleets in Texas, operating in 13 cities and covering 700 square miles. By transitioning our entire fleet to CNG and contracting with Clean Energy, we are able to offer our nearly 40 million annual bus customers a more sustainable and cost-efficient transit experience,” said Mike Hubbell, vice president of maintenance, Dallas Area Rapid Transit. Clean Energy designed and built the four CNG fueling stations for the DART network in 2012. “DART is a recognized leader in transit solutions with thorough and thoughtful long-term initiatives to improve service and focus on long-term economic sustainability. We’re pleased that the transition to natural gas is part of their long-term planning and are excited to help them with this transition,” Kenneth Nicholson, vice president, sales and marketing, Clean Energy added.